Azelio is a Swedish engineering company who are developing concentrating solar power. Their technology is unusual for two reasons. Firstly, as far as I know, they are unique in that they are utilizing an aluminium alloy as a heat storage medium. Secondly, they plan to use a Stirling Engine rather than a steam turbine to actually generate the electricity. They are now working with the Moroccan solar agency, MASEN, to bring these technologies together and test them at MASEN’s Ouarzazate Solar Park. This is an excellent example of international cooperation, bringing together Swedish engineering expertise with Moroccan political commitment to developing their immense solar resource. Azelio aim to commercialize this technology aimed in large part at mid scale off grid locations in the sunny tropics. This is where most of the 1.2 billion people without access to electricity live. For individual isolated households and hamlets solar photovoltaic panels plus batteries would be the appropriate technology. Azelio are aiming at the 0.5 to 20MW scale, so the village to town scale of infrastructure. These communities currently often have dirty and expensive diesel generators, with many people having no access to electricity at all. Conventional power stations and electricity grids never will reach them. Local solar plus storage is now a cheaper and more reliable alternative. Azelio is just one of a number of companies developing various forms of solar power which will further accelerate this aspect of humanity’s shift from ‘The Fossil Fuel Age’ to ‘The Solar Age’. We all know the names of companies of ‘The Fossil Fuel Age’: BP, Shell, Exxon, Total, Gazprom, Ford, BMW and Volkswagen and of course, many more. How many of these companies will reinvent themselves as cleantech companies? My guess is that most of the biggest firms of The Solar Age’ will not be these, but rather the small innovative companies who are currently developing the best solar technologies. Perhaps Azelio will be a globally well known name in years to come. Their technology looks promising to me. This entry was posted in Energy, Technology on 9 July 2018 by Richard. Democracy is under threat like never before. Digital warfare seems to be incredibly effective in changing how people think, feel and vote. There is growing evidence that many elections have been influenced in very negative and socially divisive ways, from the election of Donald Trump to the UK Brexit referendum. In December I wrote a blog about why we should ‘Exit from Brexit’. Since then the revelations have shown a very frightening picture of voter manipulation, illegal data harvesting and campaign spending greatly exceeding legal limits. In that blog I highlighted the excellent investigative journalism of Carole Cadwalladr and others. In Saturday’s Guardian she posts the latest update on this whole sordid mess. 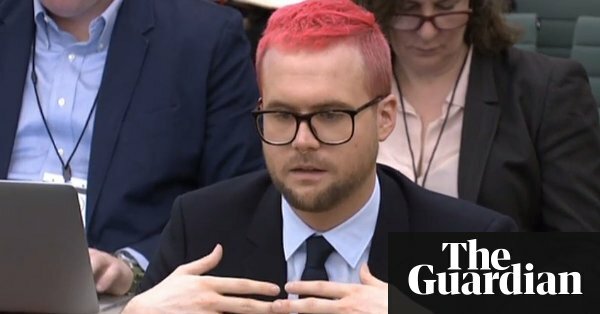 The embedded videos of her interviews with Christopher Wylie and Shahmir Sanni are particularly powerful. Their revelations about Cambridge Analytica and AggregateIQ are dynamite. The UK has much to do to restore its reputation as a reasonably functioning and law governed democracy. Democracy has always needed defending from those out to destroy it. Lives are at stake in this battle. Every year dozens of investigative journalists are murdered as they investigate links between organised crime and corrupt politicians. Wikipedia lists 71 journalists killed during 2017. Propaganda has long been used to whip up hatred, and sometimes the effects take years to become apparent. The Nazi propaganda in the 1920’s and 30’s directly led to the eventual death of scores of millions of people by 1945. Kenya, like much of Africa, has a long history of inter tribal tensions. It appears Cambridge Analytica interfered in the last election in Kenya, in very socially damaging ways. It may be years before the full impact of this becomes apparent. For those of us who care about democracy we will have to redouble our commitment to holding truth to power, through excellent investigative journalism and the vigorous upholding of the rule of law. If we fail to do this now, the future consequences for our species could be fatal. We live in a world packed full of weapons of mass destruction and with an unfolding global scale ecological crisis: we need global peace and democracy if we want to have a hope of survival into the next millennium. This entry was posted in Politics, Technology on 2 April 2018 by Richard. We live in an era of ever faster technological change. Like all technological changes it is disruptive of old businesses and employment patterns based on earlier technologies. Robotics, artificial intelligence, self driving vehicles and big data are all progressing at incredible speed. The BBC and the OU have jointly made a couple of series of TV programmes looking at this. 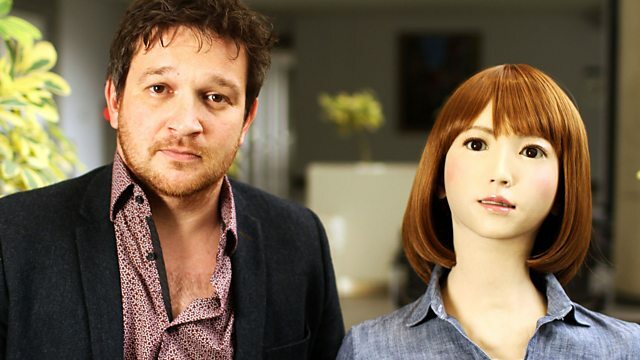 In ‘Hyper Evolution: The Rise of the Robots’ Prof Danielle George and Dr Ben Garrod focused on the technologies while in ‘The Secrets of Silicon Valley’ Jamie Bartlett focused more on the social impact of these technologies. Both made fascinating viewing, and there are more episodes to come. Jamie Bartlett pointed out how Silicon Valley technology companies like Apple, Google, Uber and Facebook portray themselves as ‘the good guys’ yet operate much like any corporate entity, seeking to maximize profits with scant regard for the social (or ecological) consequences. Many of them pay very little tax and governments struggle to make them pay. In the past national governments had the ability to nationalize companies that failed to comply with national laws. With these global tech giants that operate in cyber space it is proving difficult for governments to get them to act responsibly. The fundamental question to me seems to be in whose interests are these companies allowed to operate? At the moment it seems to be a small group of Silicon Valley billionaires. It is probable that hundreds of millions of jobs will disappear as a consequence of these technologies. We could see inequality widen to the extent that there are a few trillionaires and billions of serfs and slaves. Siddharth Kara points out that there are today more slaves than ever before and that slavery is more profitable now than ever before. Current trends in many areas are leading toward a dystopian hell. A better future may depend on developing new forms of global governance with the power to tax, regulate and redistribute the profits of these global corporations. If jobs are to be automated then a global basic income scheme seems an absolute necessity. The corporations will fight any such plans. Civil society has to prove stronger than corporate interests. That will be one of the epic struggles of the coming decades. Technology has the power to amplify humanity’s impact on each other and on the biosphere, with consequences that could be for good or ill. We as a species have to regain some political control of the process to ensure these technologies are used for the common good. I’ll be giving a talk on Weds 9th at De Koffie Pot, Left Bank, Hereford, expanding on all this, showing slides and leading a discussion. The title is ‘The Human Future: Changing Technology, Changing Politics’. If you’re in Hereford do come and join us: free entry and very friendly. All welcome. This entry was posted in Politics, Technology on 7 August 2017 by Richard.